Sean Martin won the team captain award in his senior football season and leads the baseball team as the No. 1 pitcher. 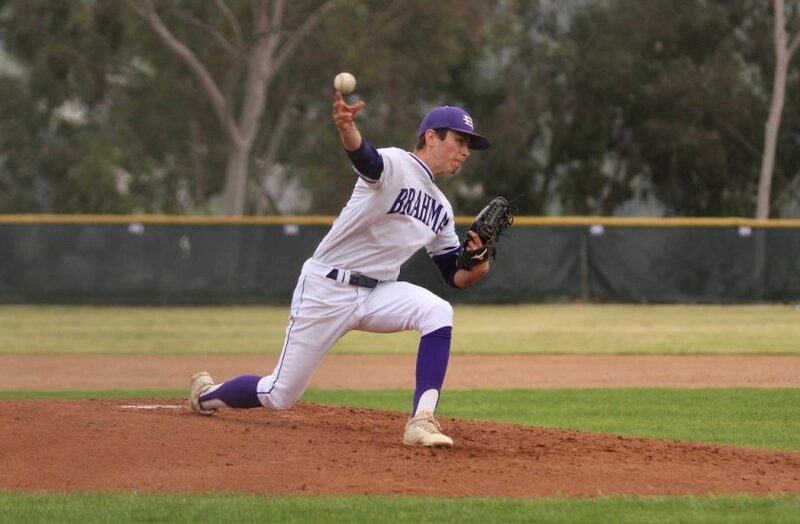 With a baseball bat and glove in hand since the age of four, Diamond Bar High School senior Sean Martin always knew that he would find success in baseball. Not only has he led the DBHS baseball team as their starting pitcher, he has also played an important role on the football team, where he was one of the captains this season. “I still continue to play because I have many memories that I have made playing baseball and I want to keep making more. It makes me happy and it’s always fun to compete,” Martin said. Currently in his last season of baseball, Martin has led the team with his consistent pitching. He records a 2.69 ERA with thirteen innings pitched for the season, while making six appearances. While fielding, Martin has an 83 percent fielding average. “I think I am able to excel at both sports because I put in hard work during the season and offseason. I thank God for my athleticism and my dad coaching me since I was five,” Martin said. According to head baseball coach Jon Hurst, Martin has exhibited his competitive spirit and leadership skills for the four years that he has coached him. Hurst also said that it is difficult for other teams to defeat the Brahmas with the team’s strong offense and Martin on the mound. When Martin is not starting for the team, the competitiveness of the game lowers. Although the pitcher always desired to play sports with physical contact, he never expected to find the same passion in football with baseball, seeing as to how different his primary sport is to the heavy contact sport, but that changed when he decided to join the football team his freshman year. Since then, he has gone on to achieve offensive playmaker of the year in his freshman year as a wide receiver, and the team captain award his senior year. He played as an outside linebacker in his last season and ended with 78 tackles, three interceptions, and one touchdown.